Stuttgart, October 2013. – Following the enormous success of the ZSK Mc18 series, Coperion, Stuttgart/Germany, will be presenting a number of improvements that will further increase the customer benefit of this high-performance compounding extruder at K 2013 (Düsseldorf, 16th to 23rd October 2013). Improvements include the user-friendly ZSK 32 Mc18 smart, the newly developed CSpro control system, a completely redesigned die head and a new, retrofittable high-resolution torque measurement unit. The success of the ZSK Mc18 series, which was launched three years ago, is based on the numerous processing advantages that are currently appreciated by its users, including the specific torque of 18 Nm/cm³, the simple handling and extreme reliability of the machine and the very high economic efficiency, even when processing small batches with frequent product changes. In addition there are a variety of additional options to further improve performance such as FET technology that considerably improves the feeding of powdered bulk materials with a high air or gas content. 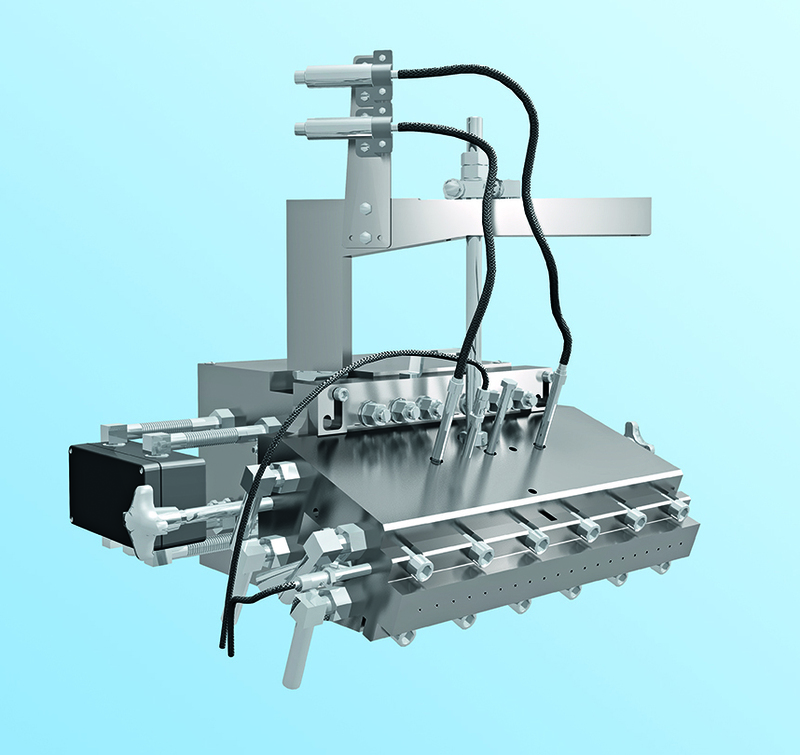 The ZS-B twin screw side feeder permits downstream feeding of components directly into the melt and, when used in conjunction with FET technology, enables use of the high specific torque of the ZSK Mc18 that provides for gentle product handling. The ZS-EG side devolatilization unit efficiently extracts the gas trapped in the melt, thus ensuring reliable production. The ZSK 32 Mc18 smart, which will be shown in Coperion’s booth, B33 in Hall 14, features screw shafts whose axes are only 800 mm above floor level, making this compounding extruder readily accessible and easy to clean. Ancillary units, such as the ZS-B and the ZS-EG can be mounted by a swivel arm on any barrel of the extruder process section and can be operated from floor level without the need for stepladders, platforms or overhead cranes, an advantage that makes for improved operator safety. The feeders are mounted on a platform directly on the drive unit and, when required, on the swivel arm of the ZS-B twin screw side feeder. 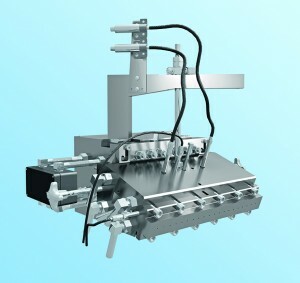 The complete redesign of the machine includes the integration of both the electrical supply system with the terminal box, and the water supply system with the manifold, into the base frame of the machine. This improvement also allows for a smooth and easy-to-clean machine exterior. The single-piece stainless steel cover of the process section is insulated on the inside and serves as an optimum dust and safety guard. The smart design version is available not only for the ZSK Mc18 series (sizes 18, 26 and 32) but also for the ZSK MEGAvolume PLUS series (sizes 27 and 34). The new SK 58 and SK 70 extruder die heads feature a completely redesigned heating system. The temperature control ensures an absolutely homogeneous temperature across the entire die plate, even when the throughput rates – as in the case of the ZSK Mc18 series – are extremely high. The new CSpro control system is based on state-of-the-art control components. It is available in two versions: the CSpro basic version covers all standard functions, e.g. for the production of masterbatch or powder coatings, and is equipped with a 15-inch touch panel PC. The CSpro medium version provides additional features, such as order/batch and formulation management. Coperion K-Tron gravity feed systems can also be fully integrated into the control system. The CSpro medium version is equipped with a high-performance industrial PC with 19-inch touch panel. All models of the ZSK series can be retrofitted with a high-precision, high-resolution torque measurement unit that enables a considerably more accurate calculation of specific energy input and provides valuable information on the dynamic behaviour of the two screw shafts. Coperion (www.coperion.com) is the international market and technology leader in compounding systems, feeding technology, bulk materials handling systems and services. Coperion designs, develops, manufactures and maintains systems, machines and components for the plastics, chemicals, pharmaceutical, food and minerals industries. Within its four divisions – Compounding Machines, Materials Handling/Extrusion Systems, Coperion K-Tron/Food and Service – Coperion has 2,500 employees and nearly 40 sales and service companies worldwide.